Thank you for contacting us! we'll call you back! 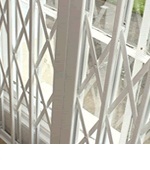 in diamond & curved lattices. 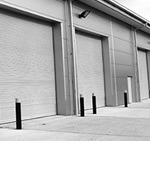 Ideal security solution for workshops, warehouses, retail storage & logistics sites.Make An Enquiry Now! There are two main measures of crime in the UK. The crime recorded by the police and the crime estimated by the annual Crime Survey for England and Wales (CSEW), which was previously called the British Crime Survey. National Statistics on crime previously published by the Home Office are published by the Office for National Statistics (ONS), so information is always available to British citizens. At the same time, the UK Burglary Statistics Infographic was created to inform people about the rate of burglaries in different UK areas, and the strategies used by housebreakers. The following burglary-related facts and figures might give you a different perspective of the crime, and you can put yourself in the shoes of victims or the burglars themselves! Hence, it may shed light on the best ways to predict burglars and protect you from the criminals. When and Where does burglary occur? Every year, there are over 1 million burglaries and attempted burglaries. A burglary happens every 40 seconds in the UK. 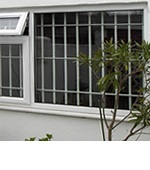 Most burglaries are not pre-planned but are committed by opportunistic criminals. Burglary victimisation occurs in 6% of cases when no or less than basic security, and 1% of cases where basic or enhanced security exists, in other words where there is window locks and double locks or deadlocks on outside doors. A poll by Halifax found out 34% of householders with an alarm fitted to their home said they rarely activated it while a further 33% also said that they assume sounding burglar alarms in their neighbourhood to be false. 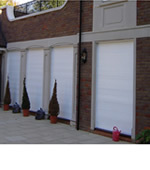 73% of burglars use doors, which are open in 3% of cases. 64% of householders also confessed to occasionally leaving doors unlocked whilst away from home and a further 37% whilst inside the home – even though statistics show that 22% of burglaries are carried out with the thief aware that the home was occupied. Infographics say that 57% of burglaries occur when someone is at home. Through a Victim Support Survey, it has been discovered that 1 in 4 victims have had their house broken into more than once. A British survey has found that repeat victims are likely to make up between 60-80% of all crime incidents. Most likely break-in and burglary victims are single-parent families in urban UK areas as they are affected twice more than homes with two parents, and thrice more than households without children. Urban residents are twice more susceptible to be burglars’ targets than rural dwellers. 56% of burglaries happen at night. Most burglaries take place after dark; 10% occur in the morning, 20% in the afternoon, 32% in the evening and 23% during the night, whereas 30% occur in the weekend. Property is stolen in 40% of cases. According to Infographics for 2009-2011, most stolen items are cash-17%, computers-15%, cameras and mp3s-13%, jewelry-11%, mobile phones-6%. The ONS has provided figures for 2011-2012, which state that burglars nowadays tend to prey for mobile phones during robberies rather than wallets and cash, which are represented by 43%, 38% and 37% respectively. Theft of computer equipment is now twice as common as in 1995. Five in 100 households were victims of vehicle-related crimes in the year covered by the 2011/12 survey, compared with around 20 in 100 households in 1995, a drop of 71%. Burgled property is actually returned in 9% of cases. In 20% of cases the victim sees the offender. 6% of burglaries are committed by a male and a female together. In 27% of cases there are two offenders. 6% are committed by female burglars. The age group for burglars is 16-24, with 16% being of school age. Only half of burglars are strangers. The other half are familiar to or well known by the victim. The UK Crime Stats recent survey shows that there have been 36,962 recorded cases of burglary in May 2013, and a figure of 36,138 in June 2013. The rate for overall burglary has also seen a decline; around 2 in 100 households were affected in the year covered by the 2011/12 survey, compared with 6 in 100 households in 1995. According to the crime figures published by Norfolk Constabulary, there has been a 73% decrease in burglaries between 1995/96 and 2012/2013. Burglars are still be at large though so all precautions should be maintained if not upgraded-even two-year-old tabby Norris was quite a sensation for its kleptomania resulting in hot prowl burglary! So, do not let your guard down because the real cat burglars steal far more valuable belongings than dusters or dish cloths and you would not want to be just another statistic! After all, violence or threatening behaviour is used in 10% of incidents and victims are emotionally affected in 80% of all burglaries. 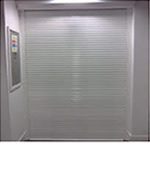 For useful advice and help in securing your homes and businesses in UK, please view our range of security products, especially our steel security doors, roller shutters and security grilles and gates. 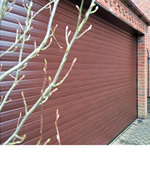 RSG Security are manufacturers, suppliers and installers of a range of security products, securing homes and business in UK. 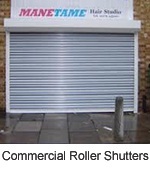 Please click below to view the relevant security products.